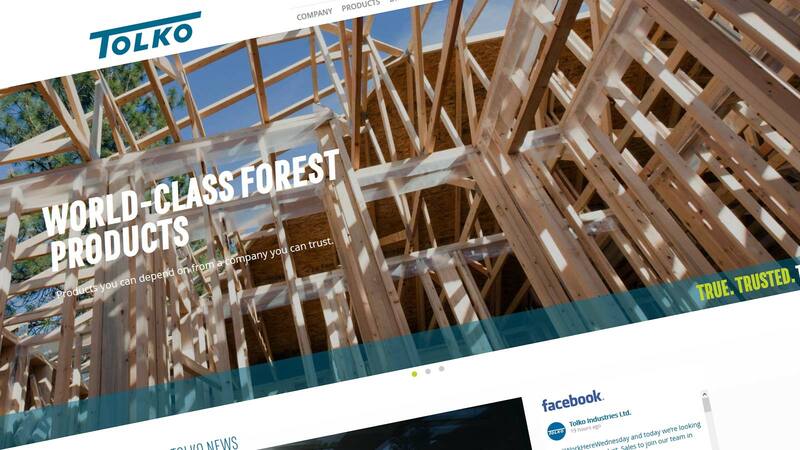 The new site puts Tolko’s values right up front and features web pages on diversity and inclusion, our Indigenous partners, and pages dedicated to our community investment. Our commitment to diversity and inclusion is a natural extension of the family values on which Tolko is founded. It’s our aim to create a workplace where all employees feel welcomed and valued as members of the Tolko family, and we’re proud to list that commitment on our new website. On the community investment side, we have articles on some of the support we’ve offered to our local communities as well as a page on applying for funding. Tolko’s focus is on product donations and financial support for youth at risk and forestry education, so if you live in a community where Tolko has active operations and are interested in applying, take a look at the application page. Throughout all our efforts; including funding, product donations, and volunteering; we place a strong focus on supporting Indigenous and Aboriginal communities and initiatives within our operating areas. We’ve modernized the menu at the top of the page with a roll-over feature and an expanded number of direct links to the most popular pages. Jump right to details about a specific Tolko product, a division location, our responsibilities, or the End Use Portfolio — an image gallery of Tolko Products being used in various applications. The careers area of the website is better than ever with new videos on why you should consider a career with Tolko, easy-to-find links to job postings, and an overall snapshot of what Tolko is all about. The best way to get to know us is to understand what drives us — a desire to create a space for people to thrive and build lasting relationships along the way. Come and see what we have to offer. You’ll see a lot more big, bold imagery on the homepage with our wide feature banner, Facebook feed, and Tolko news and community stories. We’ll be posting regular articles on what’s happening across the company and in the community. Further down, you’ll find links to Tolko products, the careers area, and the Tolko Product Guide mobile app. Visit the new site from your desktop or your mobile device — we’ve revamped the interface so it shows up great no matter how you’re browsing. You’ll be able to easily navigate through the site and then see what’s happening on our social media pages by clicking over to our profiles on Facebook, Twitter, LinkedIn and YouTube.